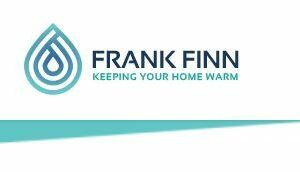 This classification focuses on Central Heating, a first-class feature of private homes, office buildings and agencies across the UK. Central heating regulates the temperature in the entire building or a portion of the building. The temperature is controlled through a thermostat set to a specific degree. There are many central heating service providers based all over the UK. These technicians are highly trained in and knowledgeable about their area of work. They are able to design, install, service and maintain buildings’ central heating systems with skill and precision. A full service package is offered to the customer and is strictly followed as long as the contract lasts. Most companies operate 24-hour call centres, handling customers’ calls, taking orders and resolving problems. Operators who answer the calls are fully trained in different aspects of central heating and can handle all kinds of customer complaints and queries. However, if required, urgent or technical calls can be dispatched to a qualified senior engineer who has full knowledge of the system and can better solve the problem. Each stage of the job is executed skilfully, from the very first telephone call to the installation and checking of the system. Once the heating system is up and running, 10% of any repairs made are subject to value review checks by the company as well as by third-party quality control examiners. The customer is free to register any complains during this period. Some companies are also offering energy-efficient central heating systems. For promotions, they may offer to replace the installed system at a lower cost, which is a good incentive for the customer. When a user avails this promotion, a representative comes to inspect the existing system and to offer their service package. If the customer accepts, the deal is finalized and installations are made. The technicians make sure to complete the reinstallation and check the new system within the pre-decided deadline.